For most people, the idea of getting into a pair of yoga pants can be enough to cause night terrors. Before you lose valuable sleep over how you look in a pair of yoga pants, rest assured; yoga pants can be extremely comfortable and even flattering on any shape or size. Let’s have a look at some of our picks for the best yoga pants available to hide cellulite. Getting the right yoga pants can be more of a challenge than you’d expect. It’s important to feel comfortable while working out. The last thing you want to think about while you’re in a downward dog position is whether or not your newly bought yoga pants are see-through or that your unsightly cellulite will be exposed. Let’s have a look at some of the important aspects you should look at when you want to invest in a pair of yoga pants. There are many different brands of workout attire on the market. Some will be overpriced just because of the brand name, while others will be more expensive due to the quality of the pants. Yoga pants should be able to handle stretches of all sorts without tearing or wearing out. You’ll be washing your yoga pants after each workout (well you should) so it’s important to choose a high-quality yoga pants brand if you want to spend your money wisely. Fabric should always be lightweight and breathable unless you want specifically designed thermal pants to aid in perspiration and weight loss. The fabric should also be able to stretch while still holding its form. Although your fabric should feel thin and comfortable, you don’t want it to be see-through. Spandex and polyamide are both good examples of easy-to-wear fabric that meets all the necessary requirements. Yoga pants should never be too loose or too tight, so the perfect fit is very important to ensure optimal movement and comfort. Pants that are too loose around your legs can be a pain when you have your legs up in the air. Select pants that’ll be hugging your legs rather than baggy at the bottom. Length in yoga pants is also something you’d want to consider. If your pants are too long you can trip and fall and if they’re too short, you’ll feel uncomfortable to do certain poses and stretches. Knee length or longer pants work best for most yoga workouts. Feeling confident in what you’re wearing will be extra motivation to work out, so select a style that makes you feel and look good. 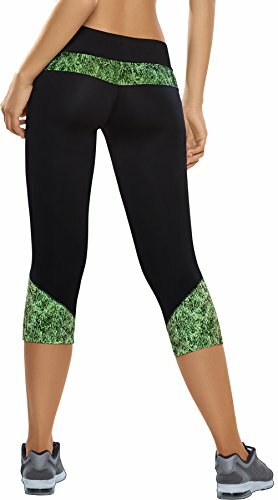 Yoga pants come in all different textures and colors so finding something suitable should be easy and fun. Nothing beats the feeling of a good sweat while you’re working out but you don’t necessarily want everyone to see where and how much you’re sweating. Look for yoga pants that absorbs sweat and have anti-bacterial properties so you’ll feel clean and confident during your workout. Yoga pants offer a list of luxuries and extras these days. Besides hiding your cellulite, some pants actually work against cellulite, improving the orange peel appearance all together. There are different pants that’ll offer additional benefits from increasing metabolism to softening skin. Getting these specifically designed pants will of course add to the benefit of your workout, but it’s not a necessity. If you suffer from specific ailments that make it harder to work out such as back pain, getting support-designed yoga pants will be an investment in your health. You’ll be paying more for extras of course so remember to budget. Not all pants need to hide cellulite. Comfort is still the most important feature you should look for in yoga pants. If you’re that lucky individual that doesn’t have any cellulite or you just don’t feel the need to focus on that specifically, you’ll have many other options of comfortable, easy to wear yoga pants. Make sure that your pants still fit well and are easy to move around in. The criteria for yoga attire will greatly differ when you compare men to women. One principle always stays the same though. You need to be comfortable and able to move around easily. Men can wear knee-length tights under loose fitting shorts and a large T-shirt or easy breathable vest. Have a look at this video for more information on what men can wear to a yoga class. These Capri-length workout pants offer a thermogenic feature to ensure increased calorie burn. You don’t have to be concerned about feeling uncomfortable and wet with the extra sweat absorption design. The Brazilian belle pants are made to make you feel and look great with a mid-waist design. They will allow you to move around easily with optimal flexibility. The pants will prevent injuries, flatten your tummy and reduce inflammation. It’s the ultimate pair of anti-cellulite yoga pants. It’s only available in black so you don’t have different color options. The Delfin spa pants offer you more than just workout attire. They’ll improve your circulation and metabolic state even further with a bio-ceramic fabric that’ll increase perspiration. It has a few extras such as a smartphone pocket designed to fit your mobile perfectly. Do you need ultimate comfort options? It contains Velcro-tab closures at the leg openings for extra comfort and to customize the fit. It even serves as a safety feature because it will lower the risk of injury due to the tight fitting design and extra heat. Note that this is not the most breathable fabric available. Some consumers may feel too hot in this item. The Haby Women’s pants are available in a stylish black design with green finishes to round it off. They’re comfortable and easy to wear with high-quality 87% polyamide as the main fabric. This allows easy movement and flexibility without losing its form or wearing out. Anti-cellulite technology allows for a smooth appearance so you can feel comfortable during your workout. And why is this seen as one of the most durable items on the market? Because it contains 4-way stretch technology to prevent your pants from wearing out. Just note that certain stretches might cause it to be see-through. Test it in front of a mirror first if you can. The CzSalus leggings are made in Italy and offers high-quality in fabric and design. 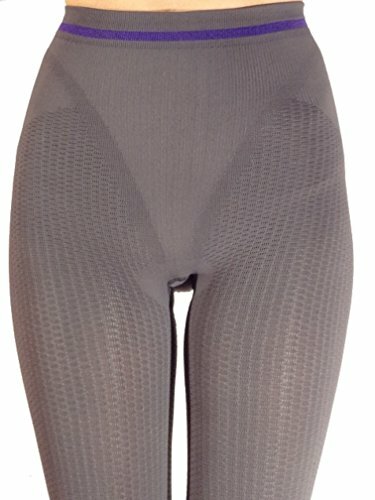 These pants will give your skin a gentle massage while you’re moving to improve circulation levels in the body and ultimately reduce cellulite. The pants also offer medical benefits to anyone suffering from lymphedema due to the compression. 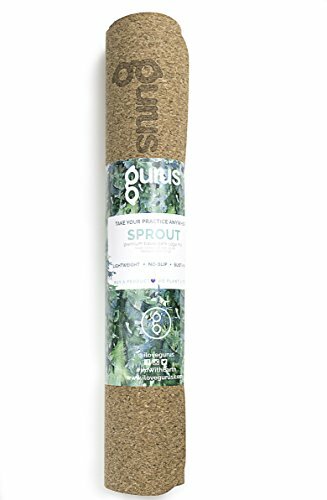 Made specifically with athletes of all sorts in mind it offers you bio-stimulation technology allowing for less oxygen consumption to improve your performance. Your skin will be left soft, firm and more elastic due to the collagen-stimulation properties. Important tip: Italian designs can differ greatly from the rest of the world as the fits can be too small and longer than you might be used to. 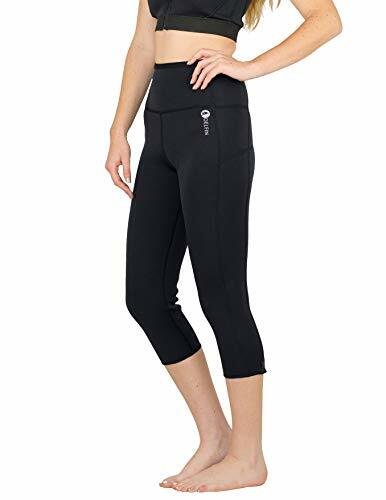 Offering long lasting results with high end technology fabric design the Gwinner women’s yoga leggings will leave you excited to start your yoga journey. The fabric – Itrofinish kelp microcapsules – contains extract of algae, gingko biloba and gotu kola adding metabolism benefits while you’re moving around. Blood flow is further increased by a gentle massage the fabric offers to eliminate toxins thus treating cellulite. Climline fabric allows for thermoregulation and moisture control so you don’t have to be worried about embarrassing sweat stains. These pants are soft and flexible and will keep your skin cool and dry. Gingko biloba: Increase blood circulation to remove toxins. Improves and stimulates the formation of collagen and strengthen blood vessel walls. With all the different styles and designs available we still have a favorite. 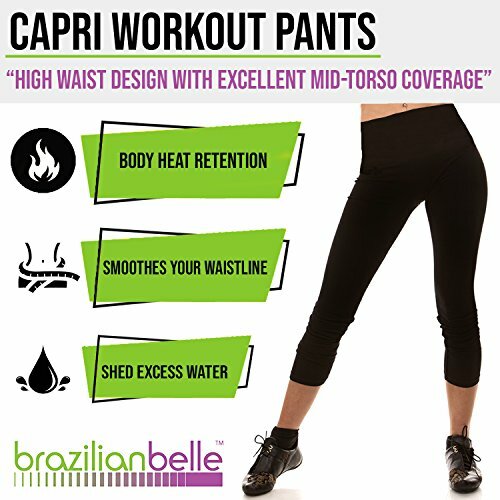 The Brazilian Belle Best Anti-Cellulite Sauna Workout Pants tick all our boxes and requirements. They’re stylish and modern and we love the extra benefits they offer such as calorie burn. Made of great quality fabrics you’ll know that this is an investment that’ll last you many years. The easy stretch fabric is durable and breathable. The ¾ length pants make for a perfect wear all year round. You don’t have to worry about any wet blotches while you do those incredible stretches with the quick dry technology. One of our favorite pros must be the joint support it offers that’ll reduce injuries. 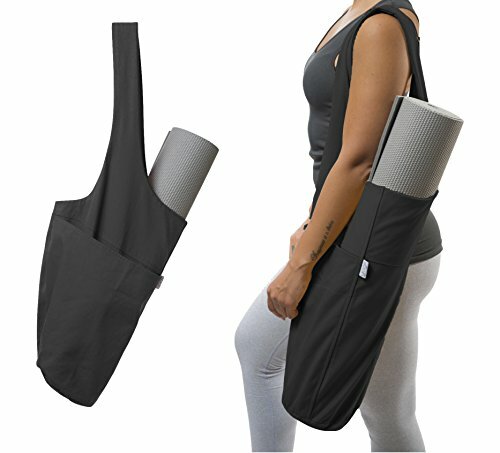 Perfect for beginners and experienced yogis alike. We give it a whopping 5 out of 5! Any form of exercise will have specific attire that’ll improve your performance. The more prepared and organized you feel the better your chances of succeeding. When you fail to plan, you plan to fail and it can start with something as simple as getting the right pair of yoga pants. Ready to shop? If you are still undecided on what the best pair of Yoga Pants are for you, then check out our Complete Buyer’s Guide To Yoga Pants!